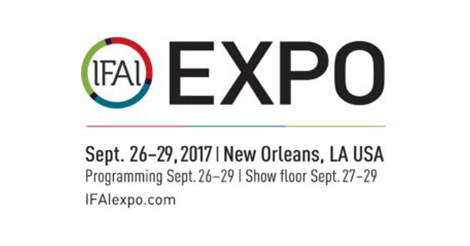 September 15, 2017 – Newburyport, Massachusetts - UFP Technologies, a producer of innovative, custom-engineered composites for the aerospace, defense, automotive, consumer, industrial, and medical markets, will be exhibiting at IFAI Expo from September 26-29 in New Orleans, LA at booth A-723. UFP Technologies will be showcasing a variety of materials featuring our unique ability to join and encapsulate a vast range of fabrics, films, plastics, gels, and metals. Our application specific solutions are custom engineered for each customer’s unique requirements which can result in improvements to structural integrity, load dispersion, rigidity, or patient comfort.